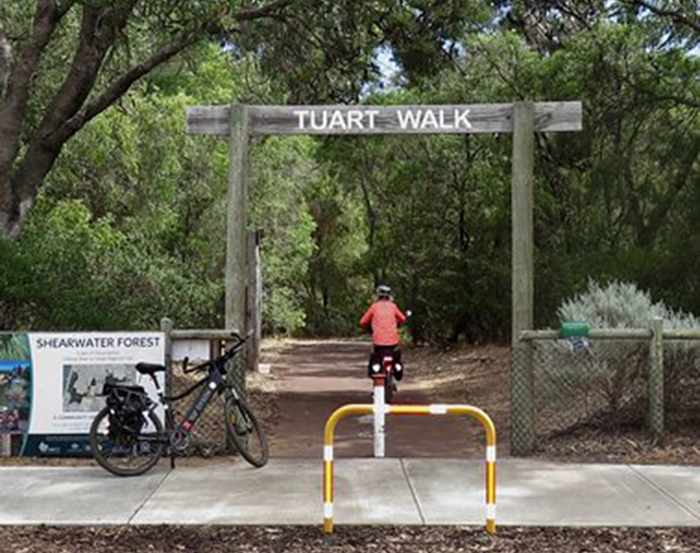 A picturesque and easy walk through Tuart forest. This is a picturesque walk meandering through the Tuart forest between Usher (South Bunbury) and Dalyellup. The highlight of this walk is the majestic Tuart trees which grow up to 40 metres high and occur in the 420-kilometre strip between Busselton in the south to Jurien Bay in the north. The trail is 1.27kms of high quality, flat asphalt path running between Maidment Parade in Dalyellup, and Ocean Drive in Usher. The Walk caters for a wide section of the Community, including walkers, cyclists, skaters, and parents with prams. The trail features 2 interpretive shelters at either end, as well as numerous interpretive panels throughout the Walk. The understorey includes a myriad of banksia trees — including the candle and bull banksias – which bear unusual cylindrical seeding cones. 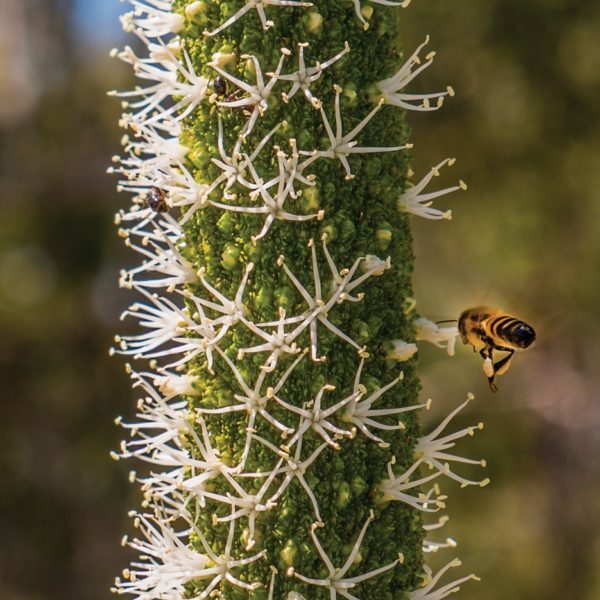 The area’s early inhabitants, the Noongar people, used the banksia flowers to make sweet drinks. You will also find some rare and beautiful species of wild orchids such as the king spider orchid in this park.